Did you think I was kidding about the sparkles because I wasn't lol Buffaluck of The Irish has a green jelly base and is full of different shapes and sizes of green and gold glitter. Such a cute glitter mix! And even though it is glitter dense it applied nicely and didn't get really thick like some glitter bombs can. The Shrek green creme is Julep Fiona...........get it! 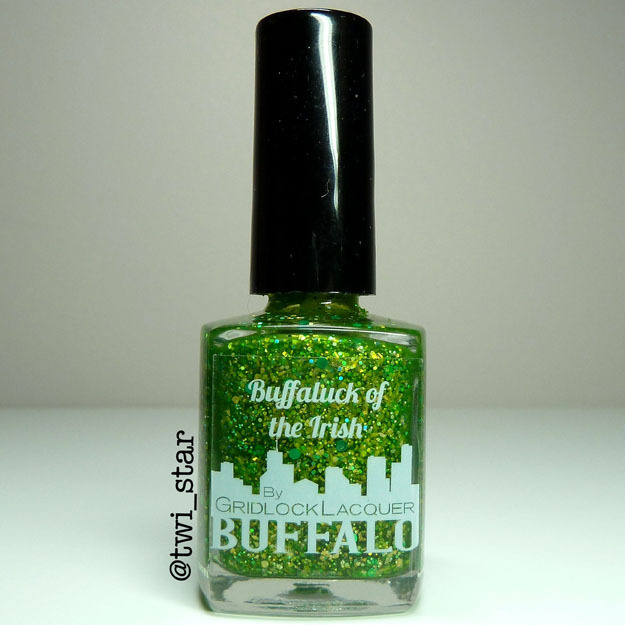 The gold clover and Buffalo nail vinyl are also from Gridlock Lacquer. They match perfect! 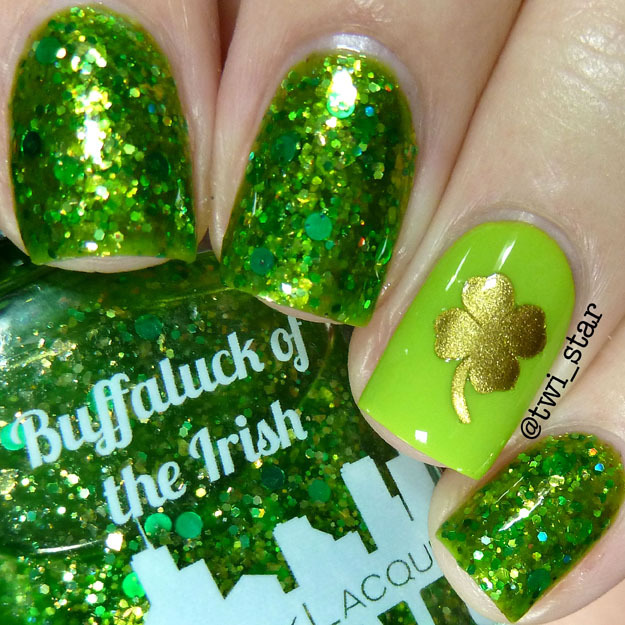 If you are looking for a gorgeous green polish to celebrate your Irish side I definitely can recommend Buffaluck of the Irish! Thanks for stopping by! Oh I love the brightness of the green glitter! !